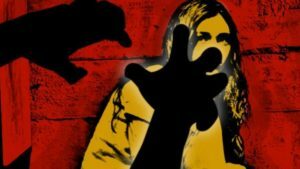 Police Report: A 22-year-old woman was raped by 2 men at a sugarcane field in Kakrauli, Muzaffarnagar, the police said that the men raped the woman in front of her mother. Officials said that the incident happened on Sunday when the 22-year-old woman was with her mother and was on their way to buy medicines near the Kakroli Police Station. SHO Jitender Kumar said that a case has been registered against Dilshad and an unidentified man who is currently on the run. The SHO added that the 22-year-old woman will be going through a medical examination. The complaint was lodged by the father of the 22-year-old woman, he said that his daughter was raped by the 2 men when she was with her mother. He added that the 2 men took her to a sugarcane field where they raped her.